Patricia Mollica focuses her practice in the areas of public finance and economic development. 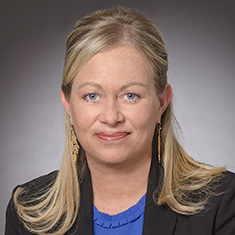 She has served as bond counsel, underwriter’s counsel, disclosure counsel, bank counsel and bond insurer’s counsel to various municipal, governmental, financial and banking entities in connection with general obligation bond issues, including special facility bonds, civic facility bonds, general revenue bonds and industrial development bonds. She has extensive experience representing industrial development agencies in corporate incentive and straight lease transactions. Patricia has served as bond counsel on more than 30 bond issuances, remarketings and refundings in connection with the construction and development of Towers 3, 4 and 7 at the World Trade center site, on numerous financings for airlines at JFK International Airport and LaGuardia Airport, and has served as project counsel on financings of various towers at the Hudson Yards site. Patricia previously served as in-house counsel to the New York City Economic Development Corporation. During law school, Patricia was executive articles editor of the New York Law School Journal of International and Comparative Law and was a recipient of the American Jurisprudence Award in Legal Writing. Shown below is a selection of Patricia’s engagements.